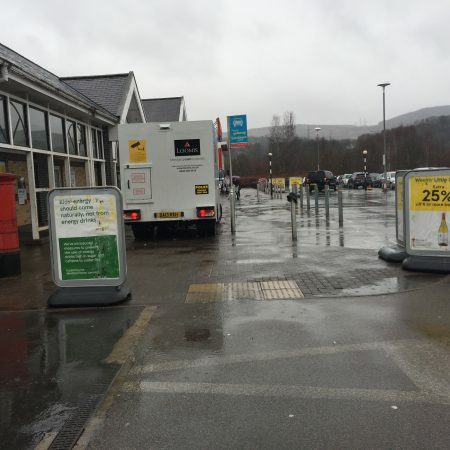 Following several comments from local residents Accessible News made contact with Tesco’s Aberdare Store regarding the inaccessibility to the dropped kerb and especially its tactile flooring for people with visual impairments. We are pleased to say that we have been able to resolve the problem thanks to support from Vikki Howells AM. Vikki was able to make representation to Tesco Head Office who has confirmed that the offending bollards have now been moved and the tactile flooring is accessible again. I was happy to write to Tesco regarding the concerns Richard had raised with me and I’m pleased that they responded positively by removing the barriers immediately. It is important to keep our town centres and stores accessible for all residents and I was pleased to be able to support the good work of Accessible News in this way. 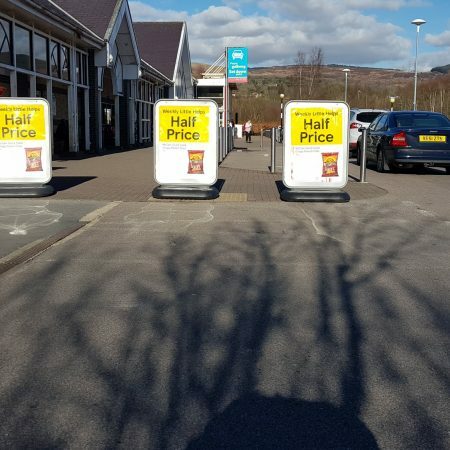 Tesco have said that they were having problems with parking in the area of their cash machines, and that these boards were placed there were to stop this happening. They have now agreed to move them to make the drop kerb and the tactile flooring more accessible. In the spirit of cooperation, we would be very grateful if people using Tesco’s cash machines could avoid parking in this area.